Packaged in 2 oz. plastic squeeze bottle. Formulated for tough resizing and forming operations. 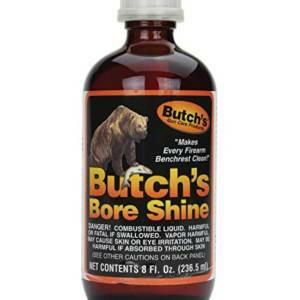 Prolongs the life of your dies and simplifies reforming. There is a difference in case lubes! 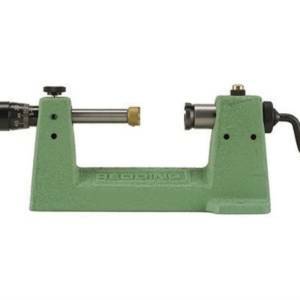 Lubricating cases for sizing and forming has always been a petroleum-based effort. 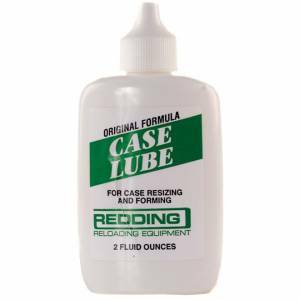 Redding now introduces a new plant based sizing lube which is highly effective, completely bio-degradable and totally renewable. Imperial Bio Green Case Lubricant sets a new standard for pad applied resizing lubricants. 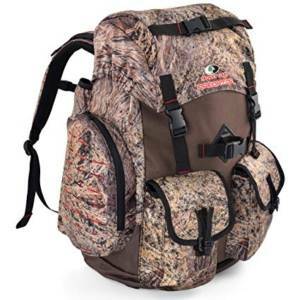 As hunters are the truly greatest environmentalists our nation has ever known, and as reloaders we are some of the first true recyclers, it is appropriate that we continue to look at ways to improve our hobbies and benefit our environment. 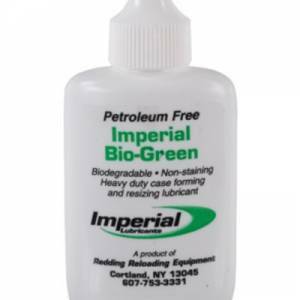 Imperial Bio Green Case Lubricant can be use on any pad type lubricant applicator and provides superior lubrication capabilities. 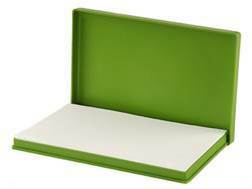 It will not stain your brass and offers easy water clean-up making it perfect for use with ultrasonic case cleaners. 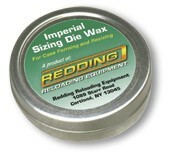 The most popular way to properly lubricate cases for resizing and case forming. The bottom side of the pad includes non-skid feet so it won’t skate all over your bench when you are using it. 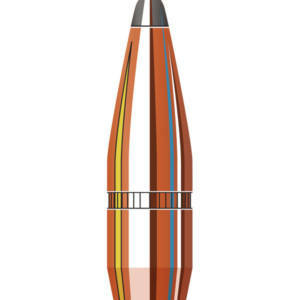 Kit now includes a 2 oz. plastic bottle of Imperial Bio-Green. The Lube Pad is great for lubricating both rifle and pistol cases. 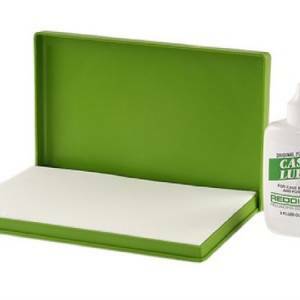 Just put case lube (sold separately) on the pad and roll empty cases across the pad to get an even application. The storage container for the pad has rubber non-skid feet so the pad will not skate all over the reloading bench. Kit comes complete with accessory handle, large and small primer pocket cleaners and three (3) case neck brushes to handle all cartridges from .22 thru .45 calibres. 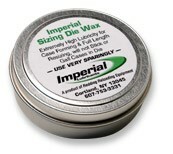 Imperial Dry Neck Lube Application Media is easy to use. With a brief dip in a cup, brass cases have been quickly and easily lubed. 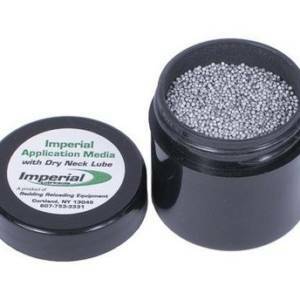 The spherical ceramic media is coated with Imperial’s neck lube. 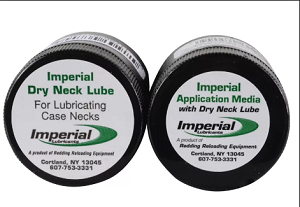 Imperial Dry Neck Lube is graphite based powder and is designed to reduce the drag and chatter of the cartridge case neck within the sizing die and allows for easier passage of the expander button through the case neck. The original non-liquid sizing die lube is now available from Redding. True to the original LeClear product of the 70?s ? green in colour.